Waldo is a vibrant neighborhood and business district located in the heart of Kansas City. What began in 1841 as the farm of Dr. David Waldo, soon became a bustling neighborhood on the edge of the city – a town unto itself. Today, you’ll find more than 600 businesses in Waldo, several of which are locally owned, surrounded by a family-oriented neighborhood. The strategy was to increase awareness of all of the Waldo neighborhood’s diverse offerings, making locals aware of other businesses they don’t normally frequent, and encouraging Kansas Citians to look to Waldo as not only a food destination, but also a place where they can enjoy services and specialty shops, thus increasing foot traffic and engagement. The Waldo community is a widespread area with over 80 businesses ranging from beloved bakeries, to services that value and know their customers personally, to a booming nightlife destination for Waldonians and Kansas City locals and foodies. The Small Business Saturday campaign aimed to not only promote these businesses and their discounts for the annual holiday, but also show the importance of shopping locally. The goal was to help locals discover new favorite spots and encourage those outside Waldo to visit and explore the neighborhood. Objectives: increase awareness and reach of the Everything Waldo brand, increase foot traffic within the Waldo Neighborhood during Small Business Saturday by providing Waldo Bucks incentives. 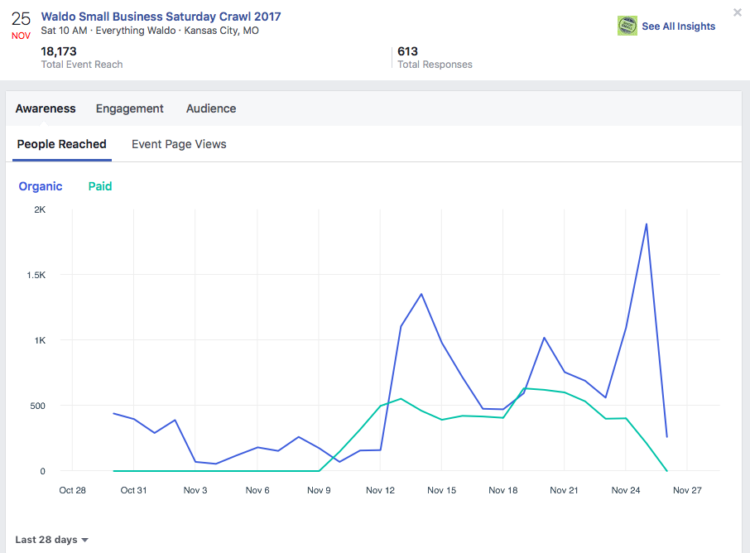 In Waldo Small Business Saturday Facebook event alone, we reached 18,173 people, which is 70% more than our follower base. We earned 613 responses. On the day of the event, ads reached 7.9% of people within 165 feet of 75th St and Wyandotte. During the month of November, we gained 25 likes, earned 8.094,520 impressions, 23,048 engagements, and reached 1,890,206 users. 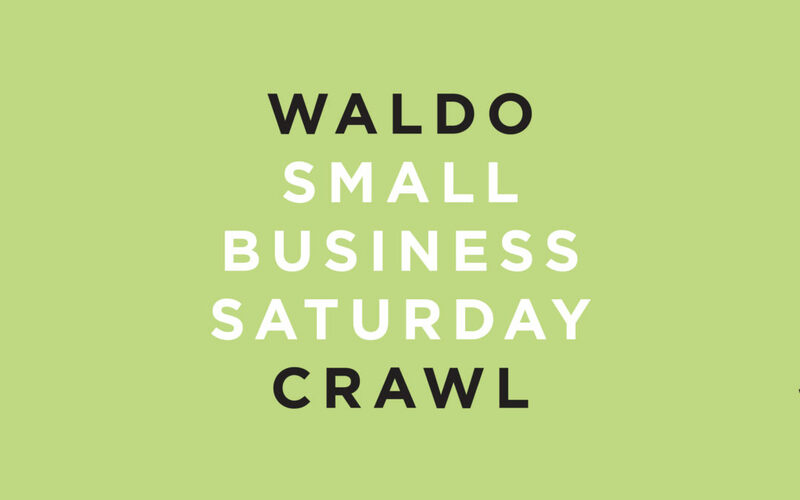 Waldo is hosting a Small Business Saturday Shopping Crawl coinciding with the national campaign by American Express to promote small businesses across the country. Visitors and locals can show their #everythingwaldo pride and Shop Small on #SmallBusinessSaturday in Waldo November 25 from 10am-4pm. Visitors can earn FREE Waldo Bucks during the event. Start anywhere along the route and pick up a Small Business Saturday Crawl Passport at any participating store in Waldo. The Novella Brandhouse team worked with the Waldo Area Business Administration to provide and implement design and messaging for Small Business Saturday. Team members also trained business owners on social media best practices for the event. The result was a successful Small Business Saturday with engaged visitors and business owners.